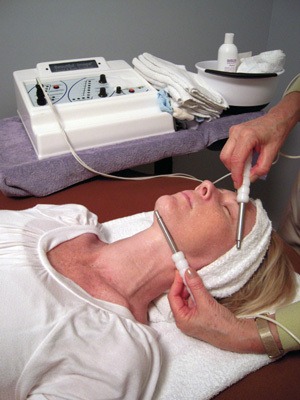 A non-evasive procedure and is employed to remove stagnation in the body and maximize energy flow to alleviate pain. It is also extensively used to help with allergies and hay fever. Focuses on the ears and is employed to treat a variety of acute and chronic diseases. It is especially effective for pain and addiction issues, including food and nicotine. Used as an adjunct treatment to relieve muscle tension and spasms. A revolutionary way to safely and gently tighten, lift and firm the skin. It is performed through specially designed wands to increase the production of collagen to smooth and soften facial lines and wrinkles. Are used to treat common diseases in the body without needles. Are carefully crafted on an individually basis to restore your body’s harmony and balance, thus relieving your symptoms. Extensive consultation on diet and its role in disease, aging, and weight management. Weight management issues frequently include detoxing the liver and colon to release toxic build-up in the fat and increase metabolic rate. For Small Businesses and Corporations. Please inquire about our Corporate Wellness programs for improved employee health. Our Wellness Programs dramatically improve employees wellness and reduce overall healthcare costs to your business. Programs can be selected to meet specific objectives such as reducing repetitive stress (carpal tunnel syndrome) smoking cessation, or nutrition & weight loss.